Despite its lush vegetation and abundance of life, a jungle can be a harsh and inhospitable environment. Monkeys have adapted to thrive in jungles, developing physical characteristics, skill sets and behavioral patterns designed specifically to help them survive in these dangerous habitats. Jungle monkeys have evolved structures and systems that allow them to conserve energy, locate food and locate each other in the jungle canopy. 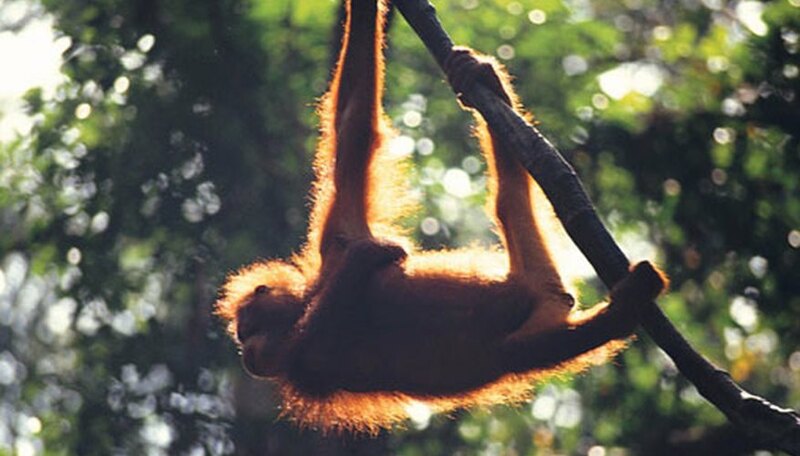 Jungle monkeys have developed long, gangly limbs that allow them to swing quickly from tree to tree. Because of the range and strength of their arms and legs, some species of jungle monkey, such as the spider monkey and the gibbon, do not have to descend to the forest floor to travel at all. This helps them conserve energy, because their food is up in the canopy; climbing down to the ground to move to a new foraging area would be a waste of strength. 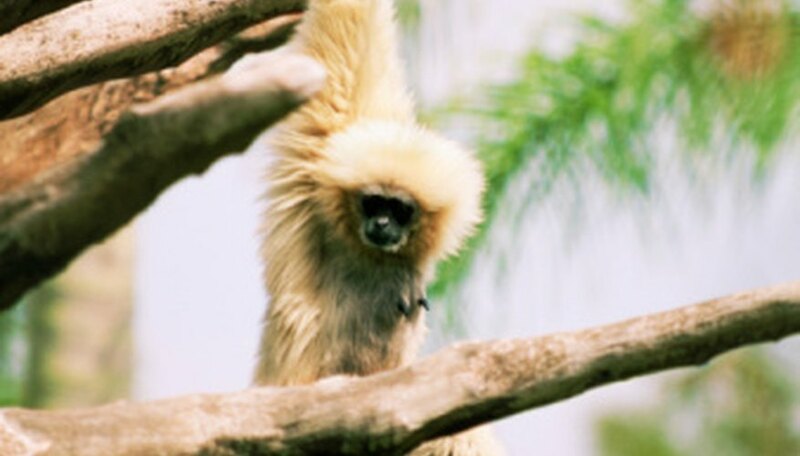 With long, hooklike hands and flexible feet, jungle monkeys such as orangutans and gibbons can grip branches easily and hold them strongly enough to support their own weight as they swing from tree to tree. Black spider monkeys have evolved without thumbs, because thumbs were an inconvenience instead of a help in gripping branches. They also have prehensile tails, capable of holding onto branches like an extra hand. Spider monkeys use their tails to cling to trees while they forage for food with both their hands. 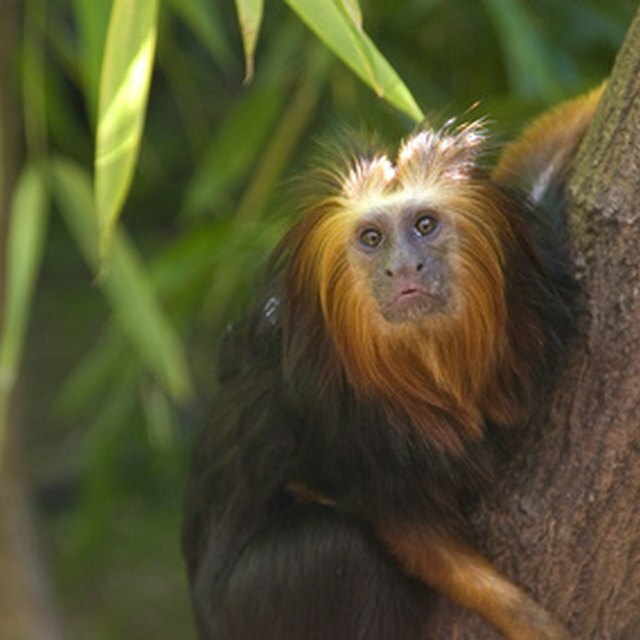 Jungles are dense and offer limited sight-lines, so jungle monkeys have adapted to locate each other by sound. Howler monkeys yell loudly enough to hear each other up to 5 kilometers away, and chimpanzees use their large, flat feet and hands to drum on trees, identifying their whereabouts to other chimpanzees. 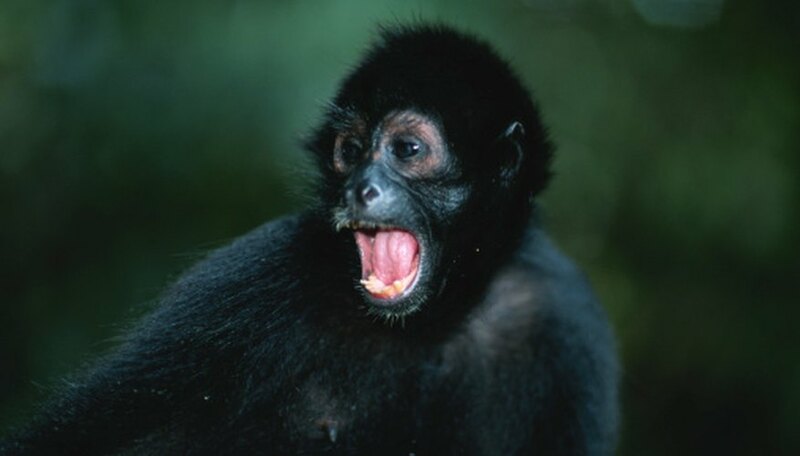 Spider monkeys also have loud voices that carry particularly well through jungle canopies, where they live. They use different calls, whoops and barks to greet each other, locate each other and frighten predators. Jungle monkeys have adapted to their environments behaviorally as well as physiologically. Orangutan mothers teach their young to be solitary, pulling them away from other orangutans and leaving them alone to acclimate, because if they were to travel in groups they would not find enough food to support all the individuals. 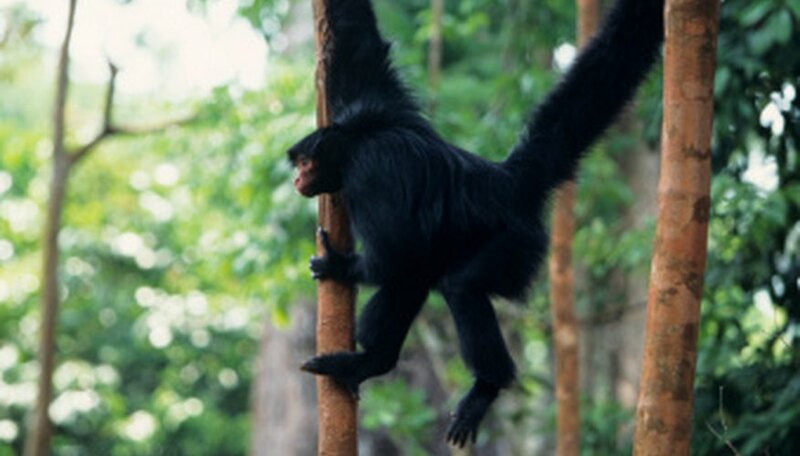 Black spider monkeys travel in large groups when food is abundant and break into small groups when food is scarce. Chimpanzees scatter across the canopy, each individual seeking a tree with enough fruit for the entire group. When a monkey finds such a tree, he summons the rest of his community by screaming loudly. How Fast Does a Monkey Run? Mitchell, Stephanie. "Adaptations of Monkeys for the Jungle." Sciencing, https://sciencing.com/adaptations-monkeys-jungle-8574476.html. 25 April 2018.